Tarina Dorz, Interior designer of Aeon Design in Coffs Harbour. 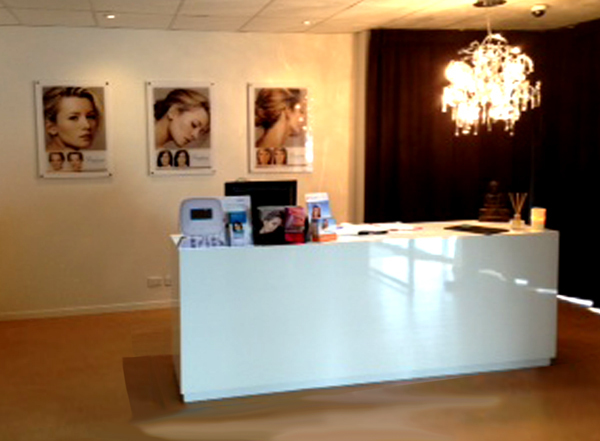 Tarina selected the gloss white Amanda reception counter for the project Azur Cosmedica. We added a small amount of customization for her. We sent the new counter by removalist to Coffs harbour. Here you can see Tarina’s handiwork. Reception counter Coffs Harbour. The new gloss counter works amazingly well on the timber floor. Receptionist desk for cosmetic medical clinic and spa. To contact Tarina Dorz of Aeon Design in Coffs Habour for your project. 0433 220151. MaiF Shopfitting Supplied the joinery for this new wedding dress shop on Parramatta rd. The Shop sells wedding dresses is for the Sposa group. 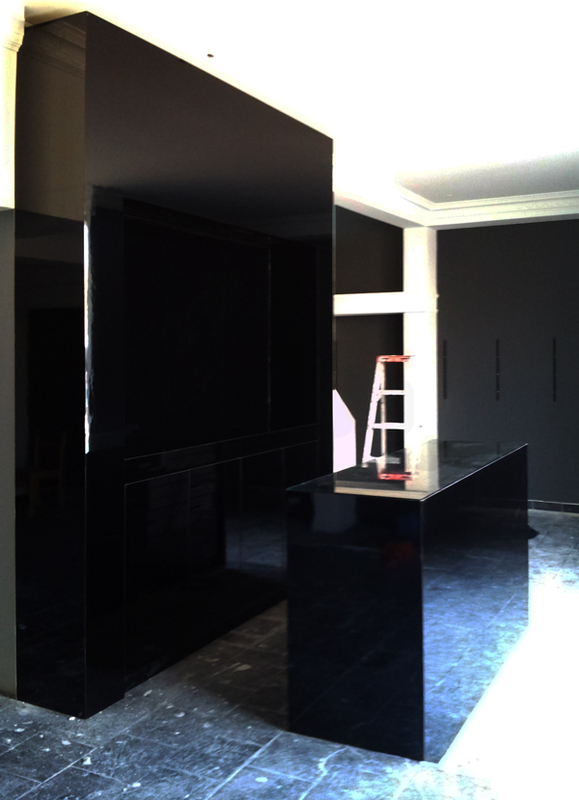 The New reception counter / reception desk is in a high gloss black. The counter is in the front of the shop and has black joinery behind it . It will help to create an impressive front entry to their shop.